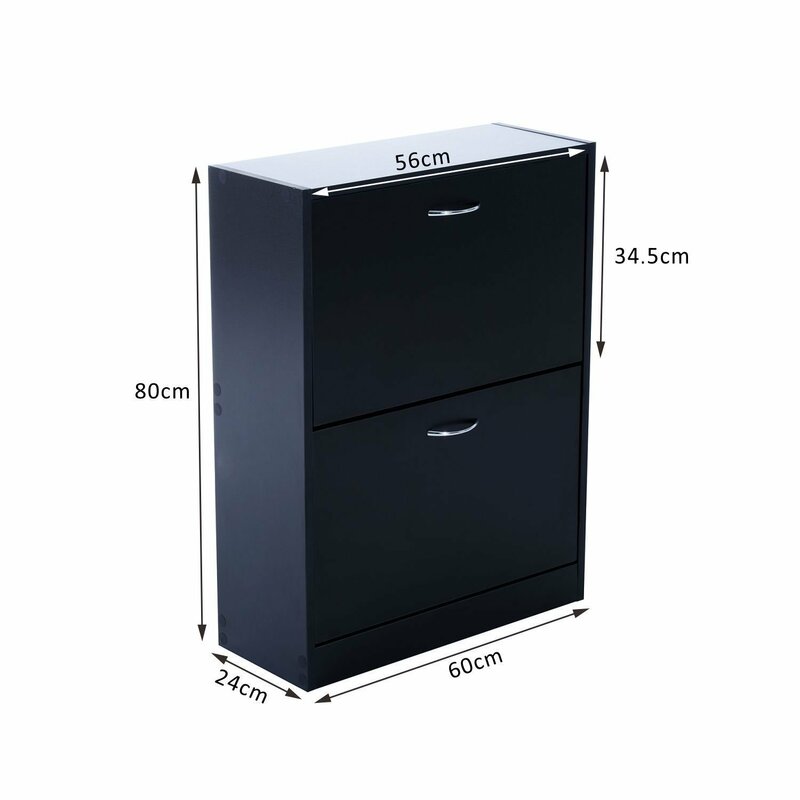 This HOMCOM shoe storage cabinet is an ideal solution to keep your shoes organized and tidy. It consists of two separate pull-down doors which each can store up to 6 pairs. Made from particle board it is designed with storage and convenience in mind. A great addition to any home and décor. Great for closet, entryway, hallway, mudroom, utility room etc.